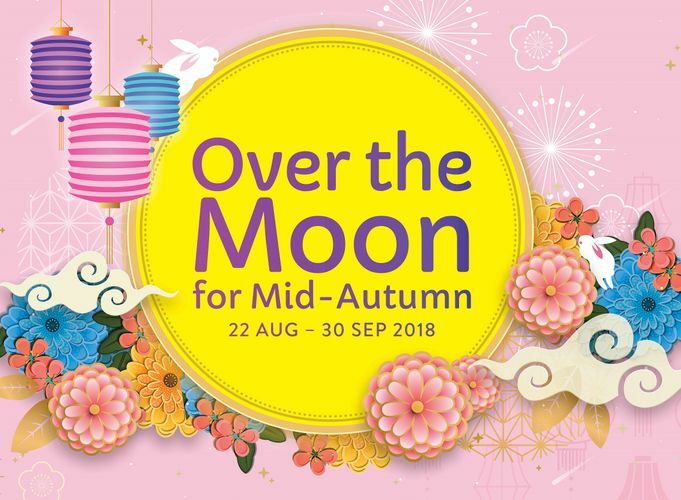 This Mid-Autumn Festival, join in the fun and excitement at Jurong Point between 22 August and 30 September! There are plenty of experiences you should not miss—from cultural performances and games, to the first ever mass lantern walk organised by a shopping mall and the much-loved Mid-Autumn Fair. Jurong Point is happy to be the first shopping mall in Singapore to organise the mass lantern walk. On Saturday, 22 September between 7pm and 8pm, participants can join in the fun at the inaugural mass lantern walk and enjoy a leisurely stroll around the vicinity of Jurong Point while carrying their favourite lanterns. During the walk, participants can also look forward to surprise appearances by Chang’e, Jade Rabbit and much more! Registration is free and open to the first 200 participants only. Participants will also receive a special goodie bag containing a lantern, vouchers and more (worth over $200). To register, visit J Plantern Walk website. On the weekends of 15–16 September and 22-23 September, shoppers can learn more about festival traditions and customs. Featuring interactive cultural games at the “Golden Games Carnival” to must-see stage performances and dazzling traditional dragon dance performance, the celebration brings a variety of activities for everyone to enjoy, and is part of Jurong Point’s efforts to encourage shoppers to reconnect with the Chinese heritage. The activities will take place at Jurong Point 2 (JP2) Main Entrance. have something in store for you.